Shipping is free (using Expedited Parcel or Xpress Post) for all orders of $75 and more before tax. Kérastase represents the finest in luxury haircare. Our Shampoos, Conditioners, Hair Treatments and Styling products set new standards, leading the professional hair industry for over 50 years. 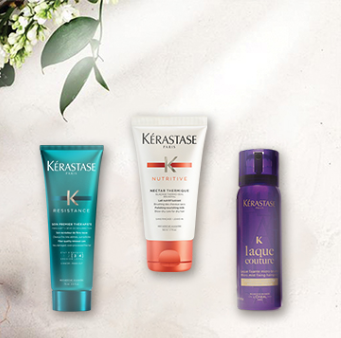 Kérastase products are unique, avant-garde formulas with innovative ingredients. Women aspire to Kérastase for the ultimate in haircare and the ultimate in beauty.